Dubai is the most favorite tourist destination for people all around the globe and it attracts around 6 million travelers every year and the numbers keep increasing each passing year. A visit visa Dubai will allow you to stay and experience the country’s amusing culture for either and maybe even search for employment or potential chance of residence, visit visa Dubai is actually convertible into other visa types as mentioned earlier regarding employment or residency. It allows a person to stay in Dubai for a 30 days period or either 90 days. There is a visa processing fee of AED 370 for a single entry visa in short-term visit visa (30 Days) and AED 650 for multiple entries whereas, a single entry visa processing fee for long-term visit visa (90 Days) is AED 700 and respectively AED 1750 for multiple entries. Visit visa can be obtained on the airport by certain nationality holders and for the rest, it is advisable to apply for visit visa 58 days prior to traveling and the whole process takes 4-5 working days. A Skydive Dubai is for the individuals who love adventures and want to explore the adrenaline-fueled experience at its finest. You will feel the blood rush and adrenaline spike when you get dropped from 10,000 feet. Apart from that, you will be able to witness the Dubai skyline as never before with a view from up top. This is something which should be on your bucket list if you are planning to Dubai city tour. Worry not as Tandem Jumps are available for newbies along with highly experienced and qualified instructors who you will be strapped on to. Your experience of jumping would start from a height of 12,000 feet for the initial 1 minute, you would encounter free-fall and afterward by 3 to 4 minutes of overhang flight. After this, you would influence a safe arrival with your instructor in the Drop-zone. As it should be, this experience is entirely safe with all precautions taken care of by professionals to whom your safety is of foremost importance. This glorious structure BurjKhalifa is the heart and soul of Dubai. This building is inspired by the concept of Hymenocallis flower, the tall structure is basically based on three sections organized around a central core. The largest manmade building is the vital representation of glamour, charm and the over-the-top for which the city is recognized. The iconic BurjKhalifa stands as the tallest building in the world defaming buildings like New York’s Empire State Building and also stripping the title of one of the wonders of the world, Paris’s Eifel Tower. BurjKhalifa Ticket prices are different for every observatory deck and also the time of your visit will affect the ticket price for you. Tickets bought on the spot turn out to be more expensive so the best idea would be to book in advance to avoid this. The stay is around of 90 minutes which include amnesties like free Wi-Fi and handicapped support for the disabled. The price of BurjKhalifa ticket for a child between 4 and 11 is priced at $25 and $35 for adults.if you are planning to buy Burj Khalifa tickets our company, desert safari rides providing many packages for tourists. If you are a traveler or visitor in Dubai you are bound to visit the most iconic building in the world, the BurjKhalifa, it is the world’s tallest standing building and the most famous and intriguing attraction in Dubai. 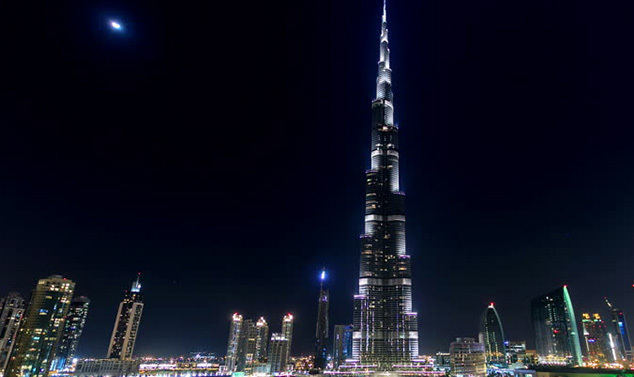 Get ready to book your BurjKhalifa tickets as it gives you the opportunity to appreciate the stunning 360-degree views of Dubai from an outstanding vantage point, you can enjoy lunch at the chic Armani restaurant and also ride the fastest elevator in the world, from the ground floor to the 124th and 125th-floor observation decks. You can go even higher if the urge persists, to the 148th-floor which is known as At the Top SKY deck (the tallest viewing platform in the world at 1,821 feet) and grub on piquant refreshments while indulging in the spectacular views. To explore the manmade wonder and enjoy a bird’s eye view of Dubai and the Arabian Gulf from BurjKhalifa Dubai, place your booking for BurjKhalifa tickets at your earliest. 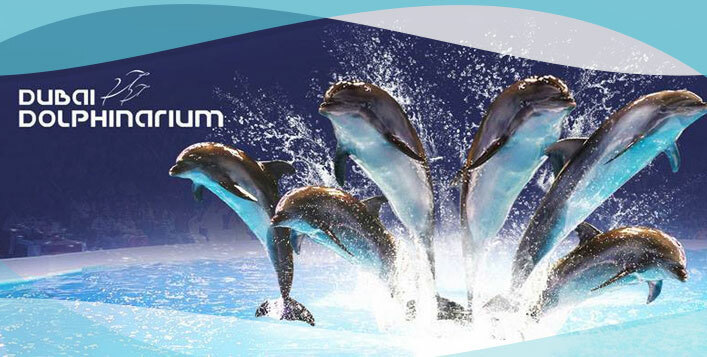 Dubai Dolphinarium is a place which keeps you indulge in its wide variety of acts. It holds a unique place between all the competitors who made it into the top visited places in Dubai, maybe because of its totally cooled indoor office, set inside Creek Park, which is prestigious for the exceptional exhibitions performed by the magnificent bottlenose dolphins in dolphin show Dubai. In addition to that, there are seals which perform various activities of gymnastics and other shows. Witness the bottlenose dolphins and energetic seals perform in this 1-hour show. It was initiated in the year 2008 and it also contains the captivating Creek Park Show. If you have spare time be sure to check out the mirror labyrinth, it is one of its kind in the UAE and on top of all that the 5D and 7D silver screens. It is suitable for all ages and families and a local pick and drop service is also available at disposal. The Miracle Garden in Dubai is a flower garden constructed on a desert land, which is located in the region of Dubailand near the Arabian Ranches, UAE. This garden was propelled on Valentine’s Day in 2013. This beautiful garden is known to be the World’s largest and major natural flower garden presenting over 109 million flowers on display. Around 1.5 million visitors visit this mesmerizing place every year. The floriated structures are improved and changed every single season to ensure that the tourists who come every year get a different experience every time they visit this place. The Miracle Garden offers facilities including open car parking, VIP car parking, sitting areas for the public, a prayer room for the Muslims, toilets, showering facility, safety room, first aid room, carts for disabled people, wholesalers, and commercial booth and all other necessary facilities available to ease visitors. 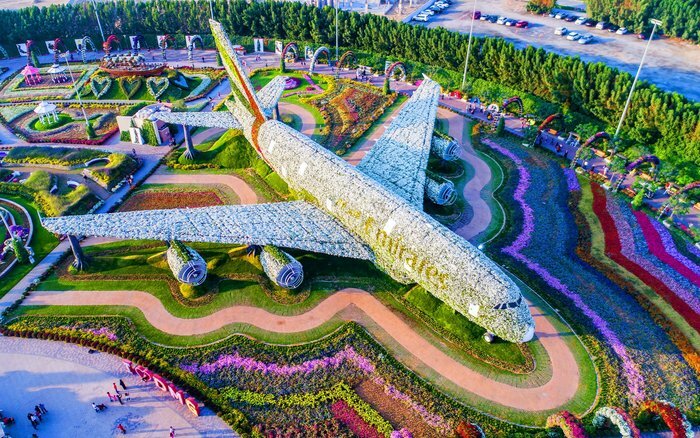 As for the Miracle Garden timings, the gardens are locked during Dubai’s extremely boiling summer months and it opens daily from October to April from 9 am till 9 pm.